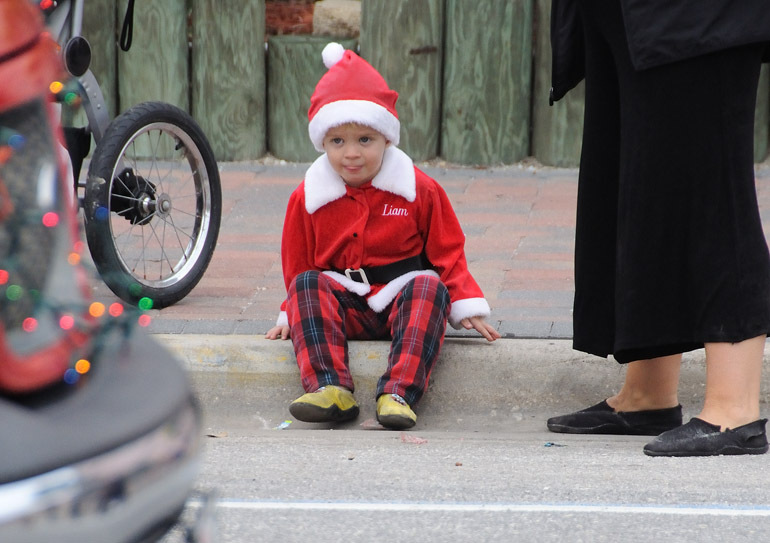 A boy in full Christmas garb watches the Cocoa Beach Christmas parade from the curb. 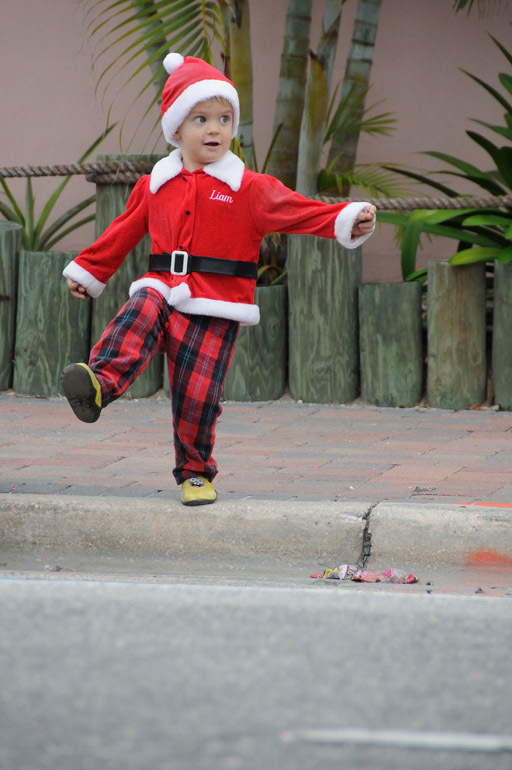 Christmas was easier to come by today at the parade in Cocoa Beach. Trucks, motorcycles, cars and people rolled through the downtown spreading good cheer and lots and lots of candy. 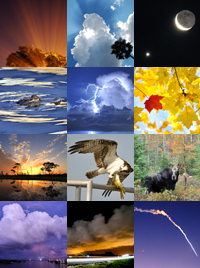 I took so many photos that it was difficult to choose just one. So I chose two. This boy seemed to scream Christmas a little more than some of the others. A future post will share the rest. 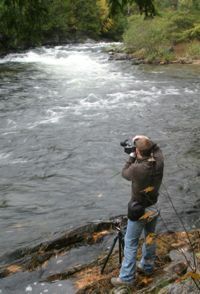 I broke the one-photo-only requirement by posting this one.